The PQ Pro power quality analyser really does set new standards of accuracy, flexibility and ease-of-use in this highly competitive sector. No other power quality data loggers can match its combination of performance, price and specification! The PQ Pro is the product of our 25 years experience in electrical power and power quality measurement, so it doesn't just look good on paper, it really performs in the field. Based around a measurement engine that samples at 1024 samples per cycle (51 kHz) it has the power to measure voltage transients down to 20 microseconds, harmonics to 6400 Hz, as well as current inrush and voltage flicker. The PQ Pro also provides inter harmonic measurement up to 6400 Hz. The memory is via standard plug-in SD card, and the unit supports cards up to 32GB, so storage capacity is simply not an issue. 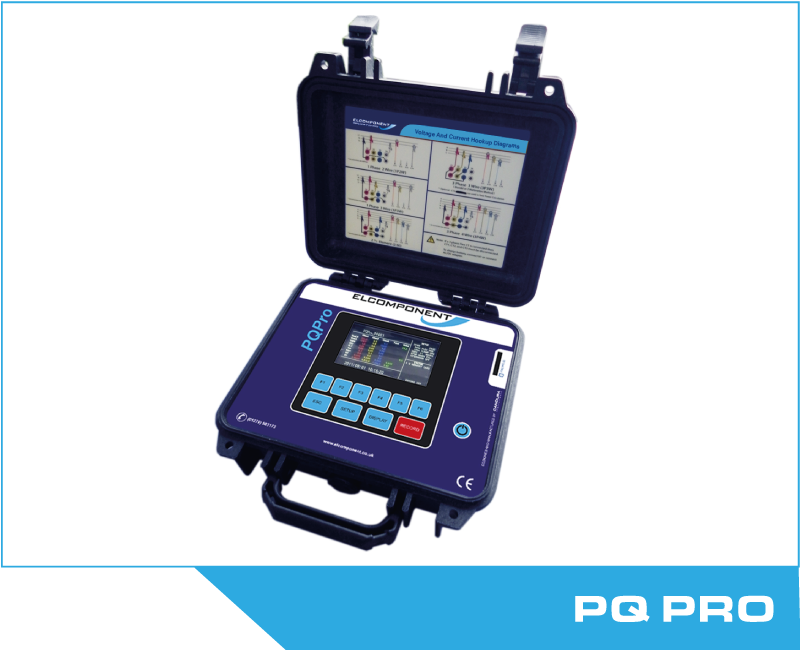 The PQ Pro Energy Analyser unit also features a fully integrated Buetooth™ communication module for seamless connection to its associated 'PowerView' PC software. This allows real-time interrogation of the PQ Pro to laptop or PC even if the unit is inside a secure enclosure, where a direct cable connection is not possible or desirable. Flexible report generator for both graphic and tabular data.